Following notice that MDA will be forced to halt activities in Judea, Samaria over budget issues, United Hatzalah aims to expand services. While Israel’s largest emergency medical response service recently disclosed that it would soon be forced to halt operations in Judea and Samaria amid serious budget issues, a second organization of volunteer emergency first responders has pledged to expand its activities in the area. Magen David Adom (MDA) Director-General Eli Bin informed Prime Minister Binyamin Netanyahu that MDA would have to stop life-saving services in Judea and Samaria, after the government failed to transfer funds allocated for MDA’s operations in the area. "The fiscal year is ending and this absurd situation of uncertainty creates an arrears of close to 13 million shekels in MDA's purse, of which 5.5 million shekels is for the year 2016,” Bin wrote to the Prime Minister. "Although this is a small sum compared to amounts approved by the government and with which it is accustomed to deal, to an organization such as Magen David Adom it represents a severe blow that causes the year to end with a deficit that will affect all services to the residents of the State of Israel." 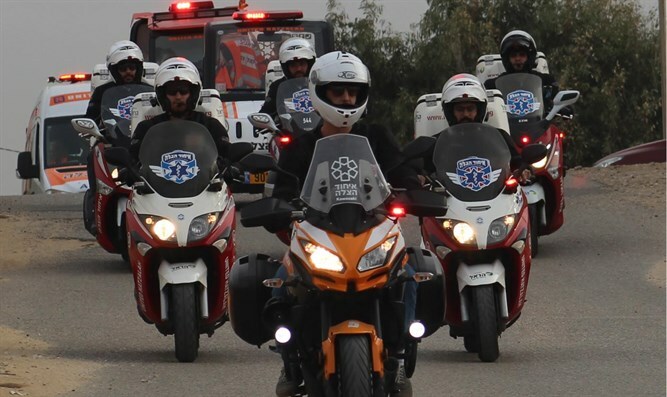 Following the revelation, Eli Beer, President of United Hatzalah, vowed to increase his organization’s operations in Judea and Samaria to compensate for MDA’s anticipated absence. “We have learned from various media publications that due to a conflict over a budget, MDA is threatening to halt its services in Judea and Samaria and that this situation may cause a loss of life,” said Beer.